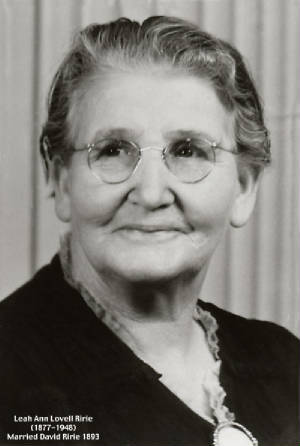 Leah Ann Lovell, daughter of Joseph Hyrum and Leah Ellen Radford Lovell, was born 1 Nov 1877 in Oak City, Millard, Utah and died 22 August 1948 in Idaho Falls, Idaho. 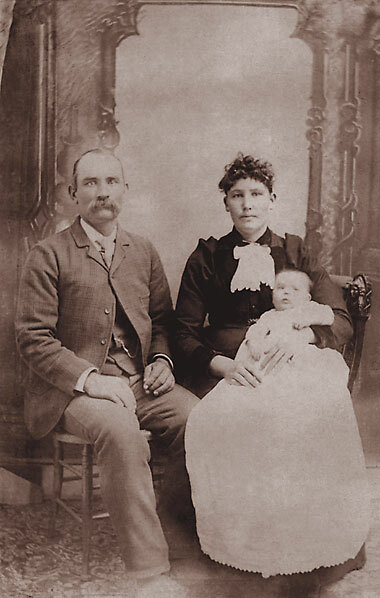 David Ririe was born 21 November 1860 in West Weber, Weber, Utah and died 3 July 1919 in Denver, Colorado. They were married 14 Sept 1893. 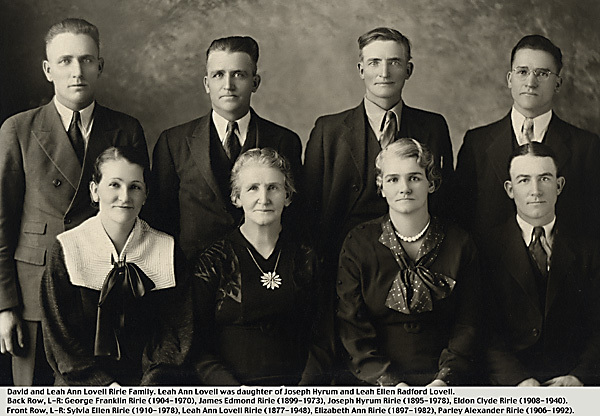 Eight Children were born to this marriage. 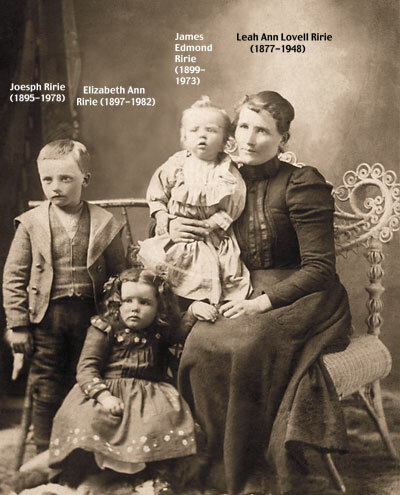 Click on the link above to see a picture of the original houses that constituted the town of Ririe, Idaho, which was named after David and Leah Ann Lovell Ririe.